In this episode of MTC Talks, Fiona Gruber speaks to playwright and theatre director, Deborah Bruce, about motherhood, morality and her play, The Distance. You can listen to the interview by clicking the Play button below. Deborah Bruce’s The Distance, is playing at Southbank Theatre from 5 March. You can learn more about the play, and book tickets, here. 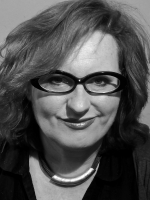 Deborah Bruce is a celebrated theatre director and playwright with over 20 years of experience. 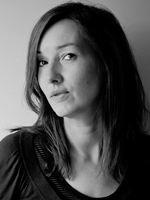 She recently began writing and several of her works have been published by Nick Hern books. She wrote her first stage play, Godchild in 2010, and The Distance in 2012, for which she was a finalist in the 2012/13 Susan Smith Blackburn Prize. Deborah Bruce is currently under commission to the National Theatre and is developing a project with the director Charlotte Gwinner for the National Theatre Studio.